The Canada Government is consulting on proposals. The consultation presentation notes that there were 30 deaths and 40 injuries from tent fires in the fifteen years 1972-1987, before flame retardancy of tents was initially required in 1988, then updated in 1995. 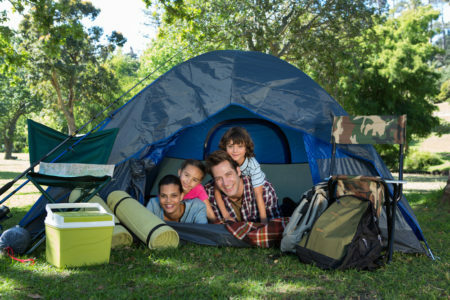 The 1995 fire safety requirements (CPAI-84) were intended for cotton canvas tents, as largely used at the time, whereas todays tents are mostly lighter, synthetic materials (e.g. polyester, nylon). The proposed new standard CAN/CGSB-182.1 includes a weathering procedure and includes flammability tests for both wall and floor materials. For the wall materials, a vertical test with average mass loss, damaged length and flaming debris requirements is suggested, but the after-flame requirement is removed. This test can also optionally be used for the floor materials. It is noted that an objective of the new standard is to enable the standard to be met without using flame retardants. The proposal is open to comment to 23rd March 2019.